The lack of gender diversity in STEM-related fields is enormous, and there are many reasons why this is. According to Bureaus of Labor Statistics, as of 2015, women on average repent 24% of the workforce in STEM fields here in the United States. Going into corporations specifically, Apple, who is on of the most influential technology company of our time, lacks in gender diversity. Apple has a workforce where men comprise 70% of the technology jobs versus women who only comprise 30%. It is clear that men dominate in STEM. Kieren Snyder, who is currently CEO of Textio, interviewed approximately 700 women who used to work in STEM. Beyond the unequal pay that women get compared to men, she also found that there are two other reasons. First, is the lack of an adequate parental leave policy, and second being the daily discrimination. Women get paid less for many reasons, but one of the main reasons is because where it comes to salary negotiation women tend to ask less than men because they believe their skills are not capable of more. Though women who are in STEM have probably gone through more obstacle to where they are now, they still don’t get compensated equally. The parental leave policy is also another factor. Some technology companies IRS have great parental leave policies but still, have a long way to go in this area. For example, Google alone had seen a 50% drop of women leaving their workforce when it changed its policies back in 2007. Also, another factor that chases women away from these fields is the subtle daily discrimination that stems from stereotypes. People use stereotypes to make decisions about their co-workers, and this can be especially damaging for women in a workforce dominated by men. Women are capable of holding engineering jobs, but because of cultural stereotypes, they feel as though they do not belong in these higher-paying and more technical jobs. I began to think about how women can become a more critical mass as to influence the policies and culture in these fields. I realized that beginning with an eight-year-old girl would be perfect. Throughout my research process, I learned that the power of girls in STEM teaching girls in STEM is fundamental to impacting the number of women technology. 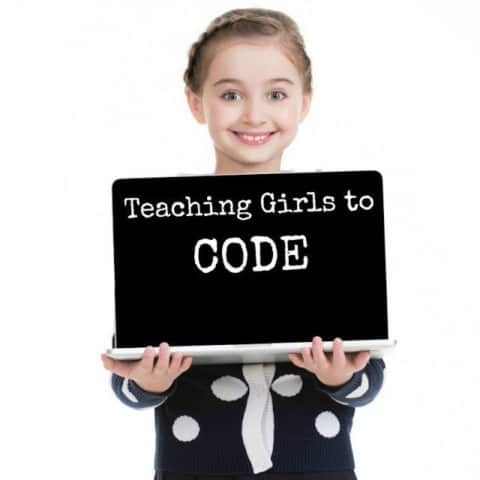 Learning about my problem through an extensive background in field research helped inform my proposed solution, I believe schools must host program for young girls to connect with female mentors in STEM so that from a young age girls can realize that math and science can be there calling. This means starting with very young girls would be making a difference. From a young age, boys are drawn into STEM-related fields and encouraged to create and learn how things work simply because of the toys marketed to them like, Legos and Hot Wheels cars. Conversely, girls are targeted with toys that make them imagine fantasy worlds where dressing a doll is perceived as fun, and princesses are their hearses. This makes it so that girls who go against those stereotypes of what “fun” become socially unacceptable. I I realized that eight-years-old is the ideal age to really influence a child’s beliefs about how they can change the world and what their profession could be when they grow up. Dr. Barron was playing with computers when he was eight, and now he is building products at Google like Virtual Reality lenses. The six-year-old girl replied with a “police officer.” The seven-year-old girls replied with a “firefighter,” and the eight-year-old girl replied with “I don’t know.” For the six-year-old girl and the seven-year-old, they picked jobs picked jobs where they can help and save people. For a police officer and a firefighter, these jobs require strength and are considered to be more suited for men. None of them mentioned any jobs that are traditional for women. For the eight-year-old girl, who’s said “I don’t know,” her answer could be interpreted as meaning that she has no idea what she wants to do because she does not know what careers are out there yet. This field research taught me that girls this young are the ideal to be encouraged to love math and science because they feel none of the society’s stereotypical limitations yet. If those same girls grow up to each encourage other young girls, then the impact becomes exponential. Not only can this be beneficial for the young girls, but this can be rewarding for the mentors. It can be an impact in inspiring women already in STEM jobs to stay in those jobs knowing they are changing the lives of young girls.More women enter, more women stay, more women change the world. Eight-Year-Old Girls is the Key to the Gender Gap by Valeria is licensed under a Creative Commons Attribution-ShareAlike 4.0 International License. You seem to have thought out this argument quite a bit. However, I have some qualms with it. Firstly, you state that women suffer from stereotypes in the STEM work field, leading to them working in STEM far less. However, you failed to state any stereotype in particular or cultural push-backs that would cause a woman to have a harder time getting into the STEM field. Secondly, you stated that women suffer from the wage gap, but failed to represent properly WHY they suffer. Women only have issues with pay because, in general, they tend to choose lesser-paying jobs, or, as you stated, don’t ask for a raise. As such, I believe you represented only a portion of the reason why, therefore not showing the full reason why, tilting the argument in your favor. How do you suggest women get past the lack of asking for a raise? Is it something innate in the nature of women to be more hesitant to ask? Or do you believe that men simply oppress women into not asking for a raise? If so, why do you believe that?